Plainview Baptist Church Spreading the gospel – one person at a time | Look no further and welcome to Plainview Baptist Church! Things are happening and the Spirit is moving! We invite you to join us as we grow closer to Christ, dig deep into His word, and spread the gospel – one person at a time. Looking for a group of real people to worship with? People who aren't ashamed to admit they are nothing without Christ? 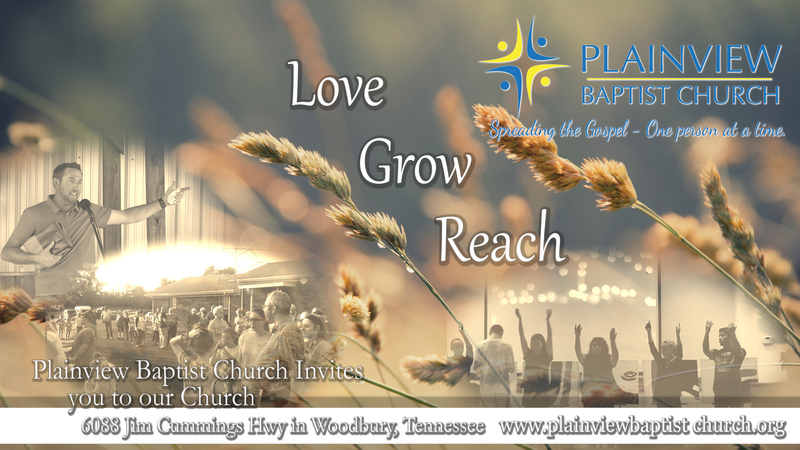 Look no further and welcome to Plainview Baptist Church! Things are happening and the Spirit is moving! We invite you to join us as we grow closer to Christ, dig deep into His word, and spread the gospel - one person at a time. Sunday Night New Life service 6:00 p.m.
Wednesday Night the Bridge service 7:00 p.m.
Goliath Recovery service 6:30 p.m. When you join us, we welcome you to get involved! We have many areas of ministry, so you are bound to find your perfect spot! ©2018 Plainview Baptist Church, All Rights Reserved.